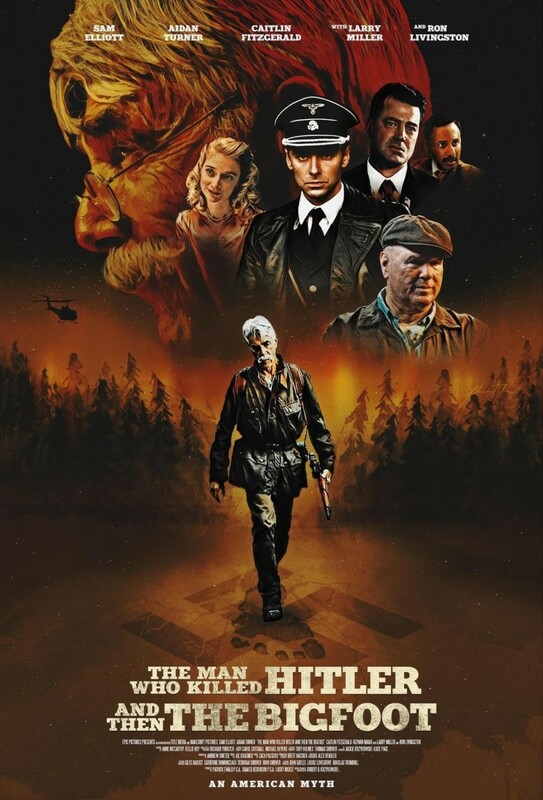 The official art/theatrical poster for, "The Man Who Killed Hitler and Then The Bigfoot." How Many Haircuts Does It Take To Kill Hitler? Calvin Barr (Sam Elliott) is still haunted by his time in the war. Not only was it a traumatic experience, but Calvin was the man tasked with successfully assassinating Adolf Hitler. Now Calvin attempts to live one day at a time with infrequent visits to his younger brother and barber Ed (Larry Miller) while daily routine tasks like putting on his shoes and staring in the mirror trigger memories from his time in the service. Calvin is visited by two government officials known as Flag Pin (Ron Livingston) and Maple Leaf (Rizwan Manji) who inform him that the government wants Calvin to return to active duty to eliminate the threat known as Bigfoot. Calvin is conflicted with taking the job. Would he rather reminisce about a woman he was never able to marry or commit murder once again for the country he loves? With a title as ludicrous and long-winded as The Man Who Killed Hitler and Then The Bigfoot you expect something outrageous. You crave bloodshed from that title alone and you want something along the lines of Quentin Tarantino's Inglorious Basterds that rewrites history in absurd fashion and follows that up with buckets of blood sprayed on all surfaces due to its grizzly violence. 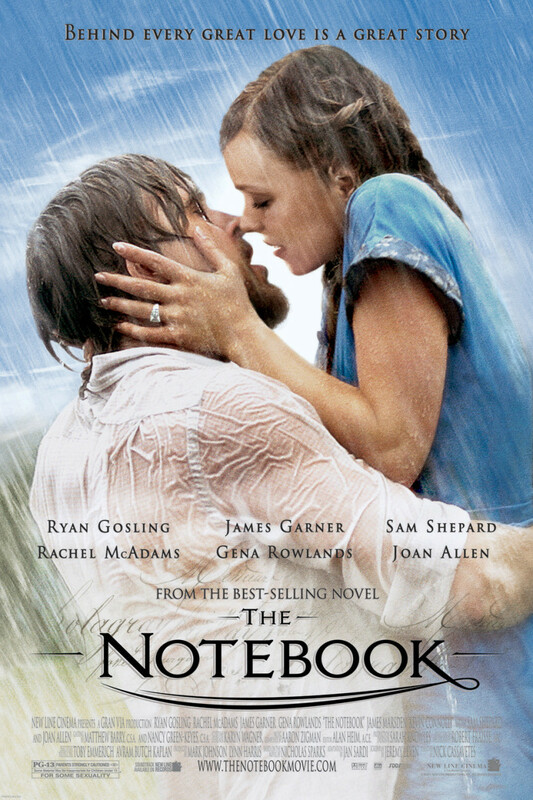 But you don’t get some trashy, hyper-violent affair; instead you get a slow-moving drama that is mostly a reminder of how inconvenient it is to try to function on a day-to-day basis as a decrepit war veteran. 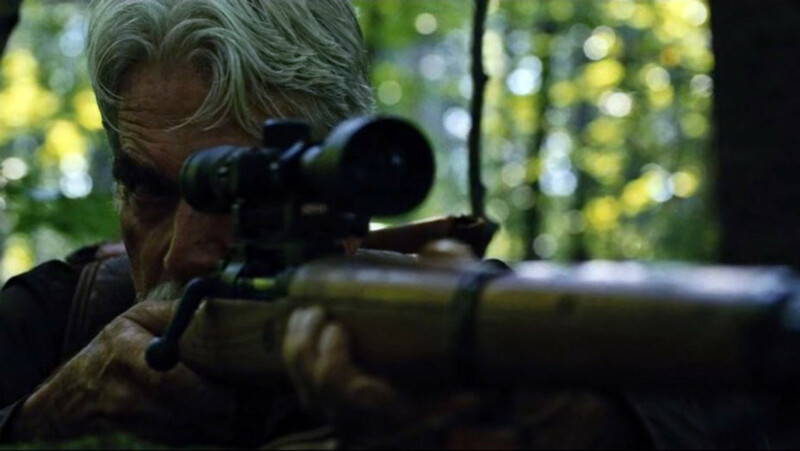 Sam Elliott as Calvin Barr in, "The Man Who Killed Hitler and Then The Bigfoot." The past and present are intertwined in the adventure drama with the younger version of Calvin being portrayed by Aidan Turner (The Hobbit). As a young man in the service, Calvin did everything that was asked of him and he was rewarded with a pristine record. Now Calvin hates what he missed while he was away. 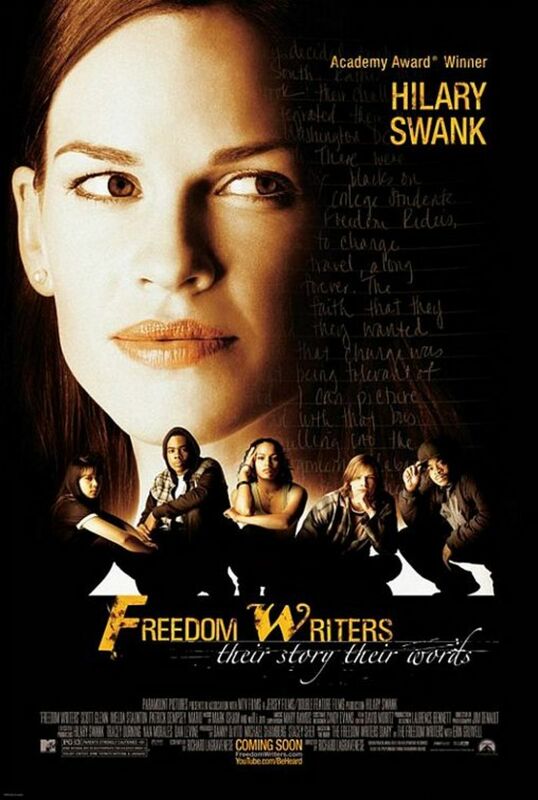 The film carries this heavy burden with its awkward dialogue with instances of elaborating on the "specialness" of the perfect shave in-length and going on and on about fancy men being fancy and honest men being honest. These awkward moments make the screenplay feel redundant and juvenile. The Man Who Killed Hitler and Then The Bigfoot portrays the ups and downs of aging with the only pros being that you’re retired and you only leave the house for errands or to walk the dog. Meanwhile Calvin struggles with getting far too many haircuts over the course of one picture, having something stuck in his shoe the entire film, sitting on every bench he comes across, and falling asleep to the static in between actual television stations. The conflict Calvin faces of everything reminding him of his troubled past and still being in love with someone who is no longer there is intriguing and the conversation Calvin has in his dining room with Ron Livingston’s Flag Pin character may be the highlight of the film. Livingston has this teary eyed glare that portrays how moved he is by Calvin’s words and yet is determined to enlist Calvin by any means necessary. Sam Elliot sells his speech as if he’s coming clean for the first time and seems to have never spoken these words aloud before. Calvin’s devotion to his country and his ability to keep his mouth shut show how honest and good natured the otherwise quiet loner he seems like to everyone around him. The deaths of Hitler and Bigfoot are brief occurrences in the drama of one man’s broken existence. Robert D. Krzykowski’s directorial debut dives into the woes of the elderly, but it’s a theme that feels like it was explored more efficiently in the 2017 Brett Haley-directed film The Hero, which also starred Sam Elliott. The hokey and redundant dialogue sours Calvin’s remorseful journey while a minuscule amount of blood and a deficient Bigfoot costume restrain a low budget film from its desired impact. 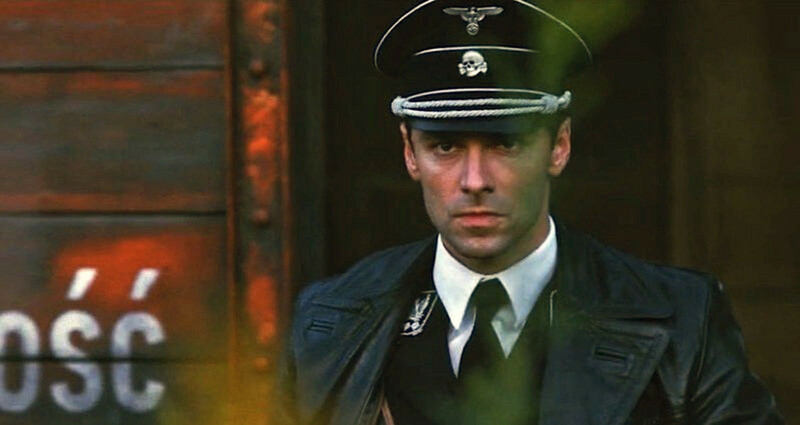 Aidan Turner as a young Calvin Barr in, "The Man Who Killed Hitler and Then The Bigfoot."